Your phone will make a 911 Emergency Call. A text message will be send to your emergency contacts in your medical ID. 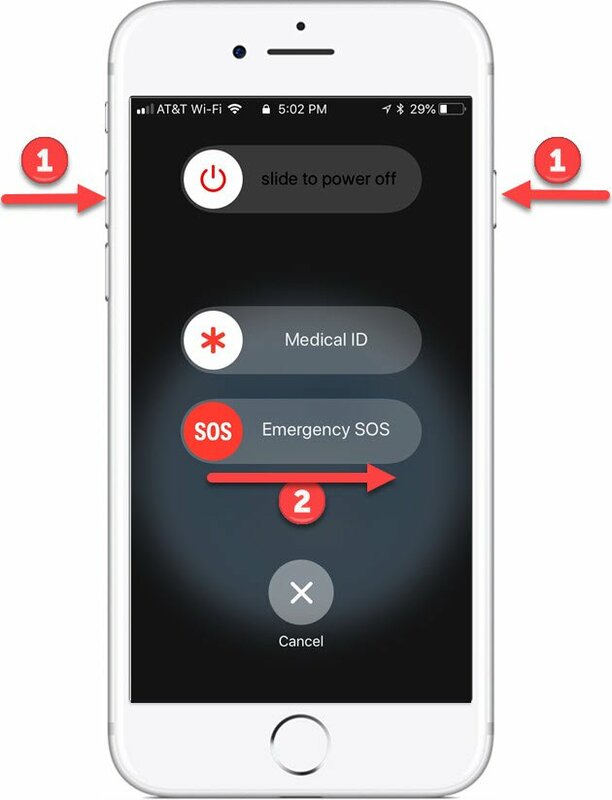 It is possible for your iPhone to be set up so that the SOS button action below will immediately dial 911 without giving you a chance to confirm. We recommend that you use a two step process where you 1) press the button(s) and 2) swipe to dial 911. Now you can proceed to explore the SOS process below without accidentally dialing 911. You will want to practice the action a few times so that it is remembered when you need it. There are two different actions depending on the iPhone that you have. 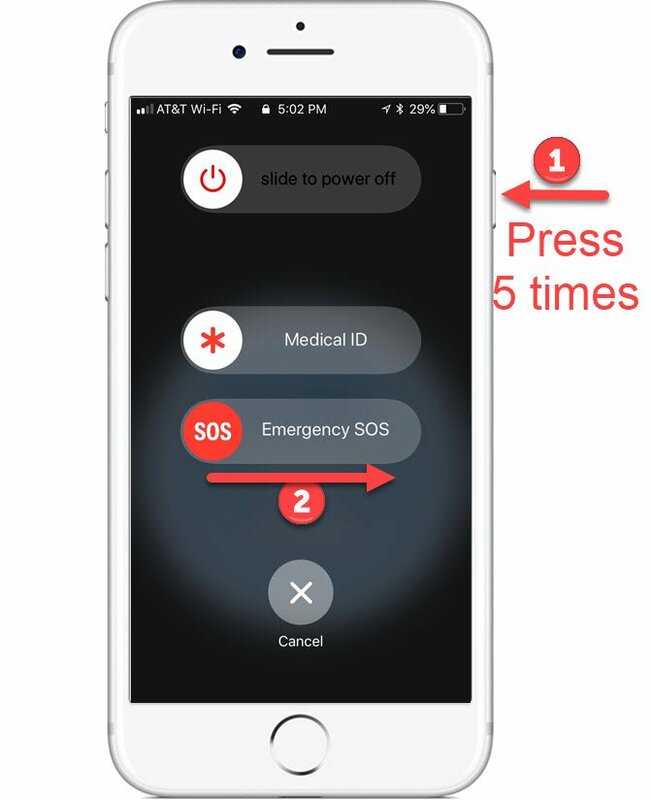 Press and hold the side button and one of the Volume buttons until the Emergency SOS slider appears. Think of this as holding the iPhone in your hand and pressing buttons on both sides of your phone. It’s a simple action. Rapidly press the side sleep/wake button five times. The Emergency SOS slider will appear. Some people have difficulty pressing the Sleep/wake button fast enough. You want to press the button as fast as you can count 1-2-3-4-5. [Your name] has made an emergency call from this approximate location. You are receiving this message because [Your name] has listed you as an emergency contact. The text will also include a link to an Apple maps location. A step-by-step description of Emergency Contacts can be found in Senior Tech Recipe #118 – How to Use the iPhone Health App — It could Save your Life!